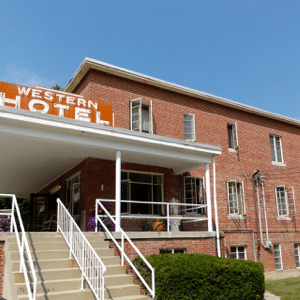 THE WESTERN HOTEL, built in 1945, was designed after the typical “roadside inns” of the era. Equipped with a period lobby and art-deco check-in counter, it has two floors featuring both single and twin rooms with attached baths. The lower-level houses a large and spacious women’s dormitory that allows for communal accommodations, and a smaller men’s dormitory. This hotel boasts being the first fire-proof building in the state of Indiana. We will mail your gift certificates to you or you can pick them up at the office during normal business hours. Two Full size beds, three dressers, a couch, chair, coffee table with shared bathroom facilities. Maximum number of guests: 5. Tax not included in the stated rates. Suite is in the lower-level of the hotel. IAOS Member Discount will be applied during the reservation process. 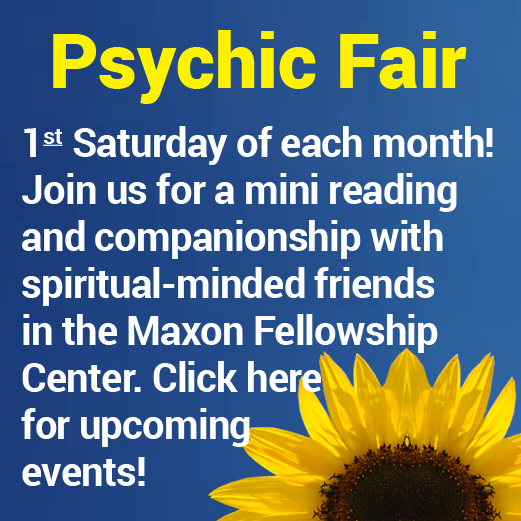 If you are a current, paid Member of the Indiana Association of Spiritualists (IAOS), please enter the word "Member" in the Coupon Code. You will receive a 13% discount off the regular room price. 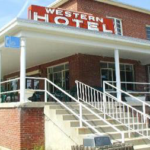 The Western Hotel is a Historical Landmark, is a non-smoking building and is not handicap accessible. Full size bed with attached private bathroom with shower, dresser, chair and towels. Maximum number of guests: 2 (plus an extra: cot). Tax not included in the stated rates. Two Twin size beds with attached private bathroom with shower, dresser, chair and towels. Twin size bed, dresser with shared bathroom facilities. Maximum number of guests: 1. Tax not included in the stated rates. Camp Chesterfield has a limited number of trailer and camper facilities. We ask that you reserve them in advance to make sure we can accommodate your needs. No tents are permitted on the grounds of Camp Chesterfield. Camping facilites are available at Mounds State Park and at Timberline Ranch Campground Chesterfield. The park is located two miles southwest of Camp Chesterfield. When is The Western Hotel open? The Western Hotel is open in the first week of January until the middle of December. CHECK-IN DAYS: Monday thru Sunday. CHECK-OUT DAYS: Monday thru Sunday. What are the Check-In/Check-Out Days and Times? Is there a deposit required to book a room? 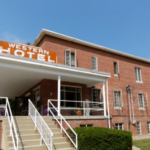 The Western Hotel requires full payment for the reservation at the time you book your online reservation. See Hotel Terms, Conditions and Refund Policy for all of the details. How many people will each room accommodate? The Mable Riffle Suite: Minimum 1 person; Maximum 5 people. The Full Bed with Attached Bath: Minimum 1 person; Maximum 3 people (2 people plus a Cot). NOTE: If you are trying to book 3 people to this type of room, you must select 2 people in your availability search and then you’ll ADD THE COT on the actual registration page. If you put 3 people in your search, you will NOT be shown this type of room as an available option. The Two Twin Bed with Attached Bath: Minimum 1 person; Maximum 3 people (2 people plus a Cot). Dorm Beds: Maximum 1 person per bed. Since Full Payment is required at the time of booking a reservation, if I need to cancel, do I receive a Refund? Refunds range from Full Refund, 50% Refund, or No Refund based on when we receive your cancellation notice. Please refer to our Hotel Terms, Conditions and Refund Policy for all of the details. I’m a Member of the Indiana Association of Spiritualists (IAOS), do I receive a Member Discount when booking a hotel room? Absolutely you do! Members of the IAOS receive a 13% Discount off the regular hotel room price! Room rates posted on the website are regular, non-Member rates. As a Member, you will enter the word Member in the Coupon Code on the registration page and your discount will be immediately applied. And Thank YOU for being a Member of the IAOS! Can I use a Camp Chesterfield Gift Certificate towards my Hotel reservation? What if I need help or have a question, who do I contact? What if the Western Hotel is fully booked? If the Western Hotel does not have any available rooms during your visit to Camp Chesterfield, here is a short list of other nearby hotels.